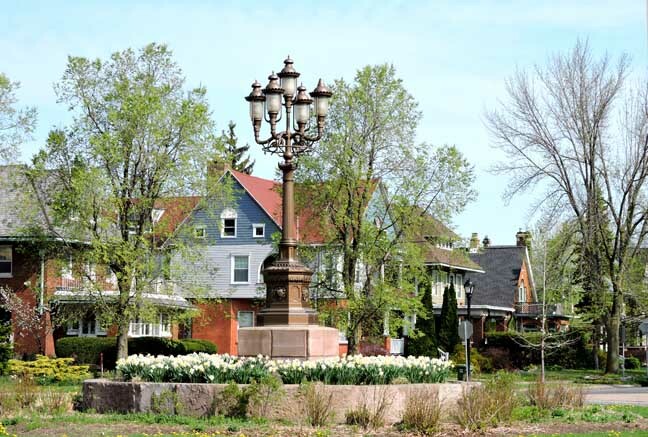 Ferry Circle, part of the original Olmsted-designed Buffalo park system, is a 300'-diameter circular space at the intersection of Richmond Avenue and West Ferry Street. 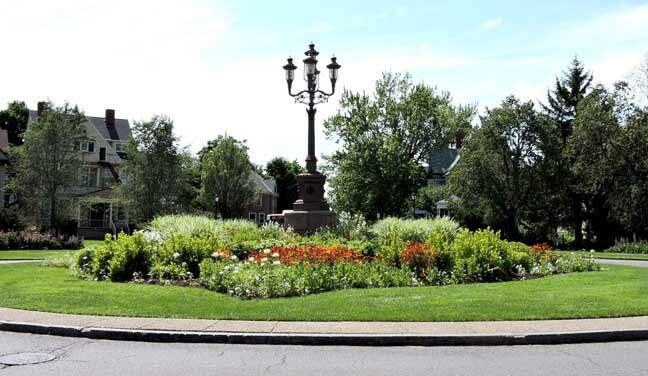 Ferry Circle was originally outlined by a ring of trees and a circular walk, and had beautiful planting beds in the quadrants. 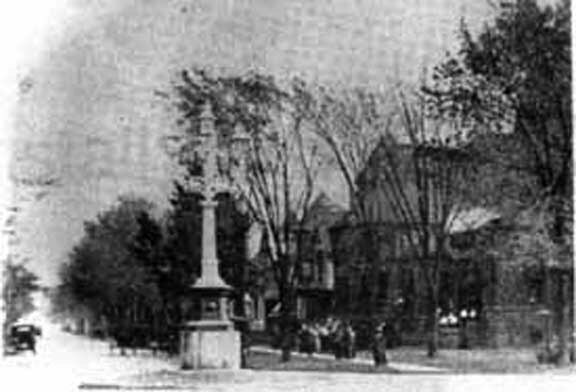 At the turn of the century, there was also a small island, about 20-25' diameter, at the center of the intersection. 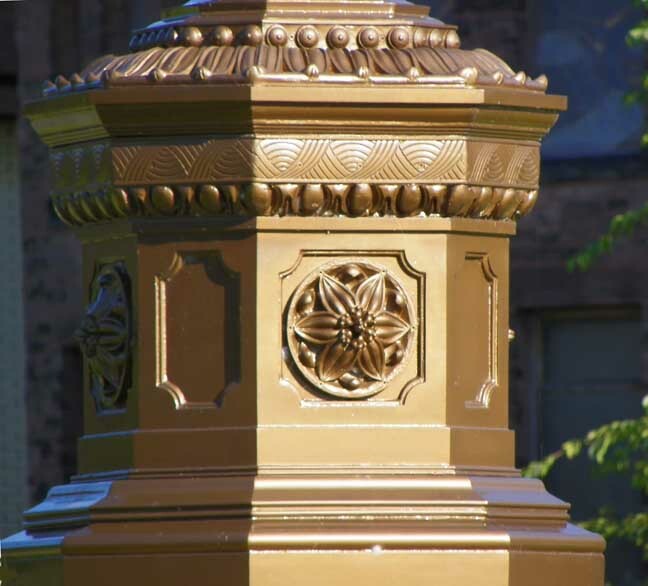 A magnificent five-branch lamp on a 3' pedestal crowned the island. The lighting standard was probably installed about 1909, and was in all probability gas, but at least one newsman of the day thought that it was electric. 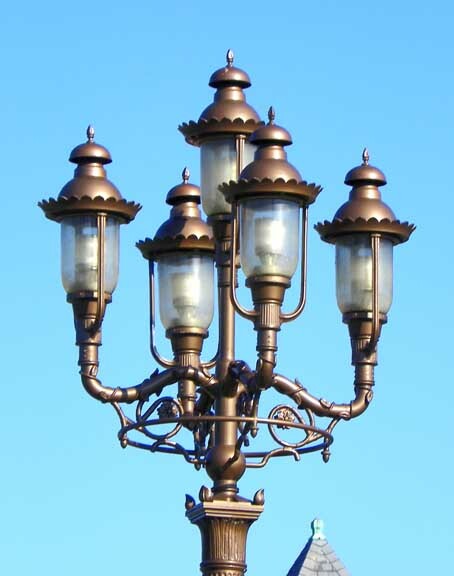 It matched the lamp that had graced Symphony Circle. In the gathering dusk, these two near-identical lights, lining up to point straight down The Avenue at the looming mass of Green and Wicks' great tower [on First Presbyterian Church], must have made quite an impression. Indeed, Richmond Avenue ranked at that time as one of the most beautiful thoroughfares in the city. 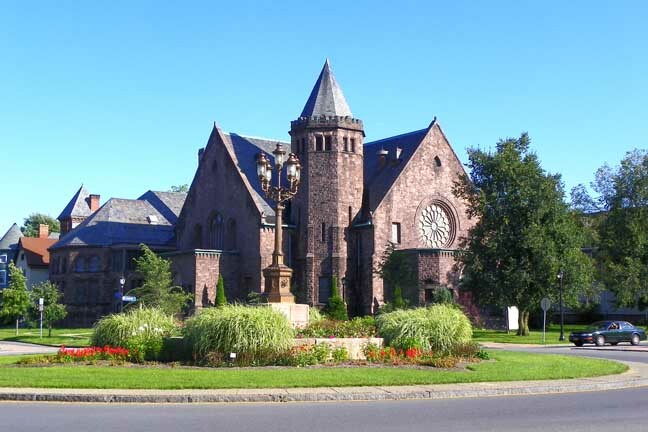 Although The Common Council ordered the island paved over in the 1930's Ferry Circle is still recognizable. The circular walk is still there, the ring of trees is partly there, and the roadway curbs have remained almost unchanged for 75 years. 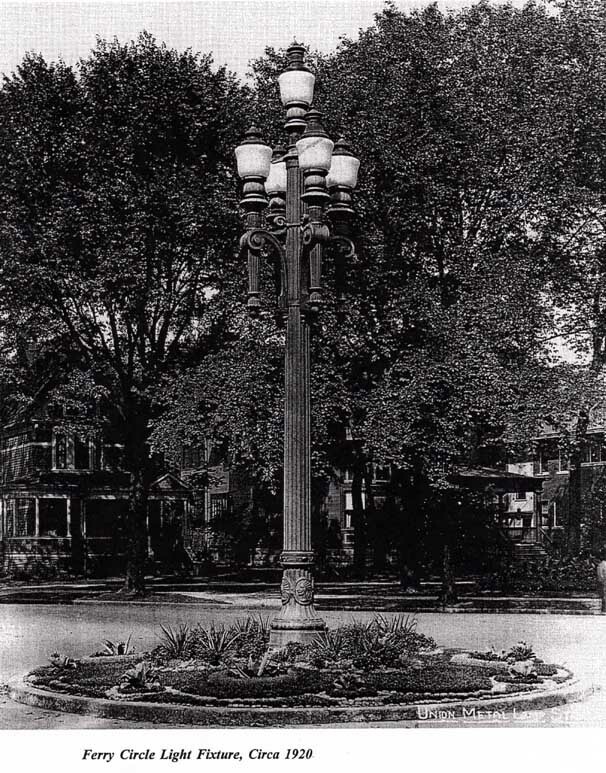 In November 2002 Ferry Circle's central island was restored along with a replica of the original light standard.